Once you’ve arrived at Milford Sound, the best way to see the fiord in all its glory is by boarding a cruise and getting out on the water. Milford Sound cruises must be experienced to be believed. The stunning sheer cliffs surrounding you, the inky blackness of the water and the frosty alpine peaks looming over it all combine to create a stunning tableau. There are Milford Sound cruises departing throughout the day, giving you the chance to experience the fiord in all its different guises. However, most cruises depart in the middle of the day or the afternoon, allowing time to travel from Queenstown or Te Anau. Choosing a cruise can be daunting, given the wide range of types of Milford Sound cruises and different operators to choose from. We’ve gathered some information to make it easier to research and book your Milford Sound cruise. 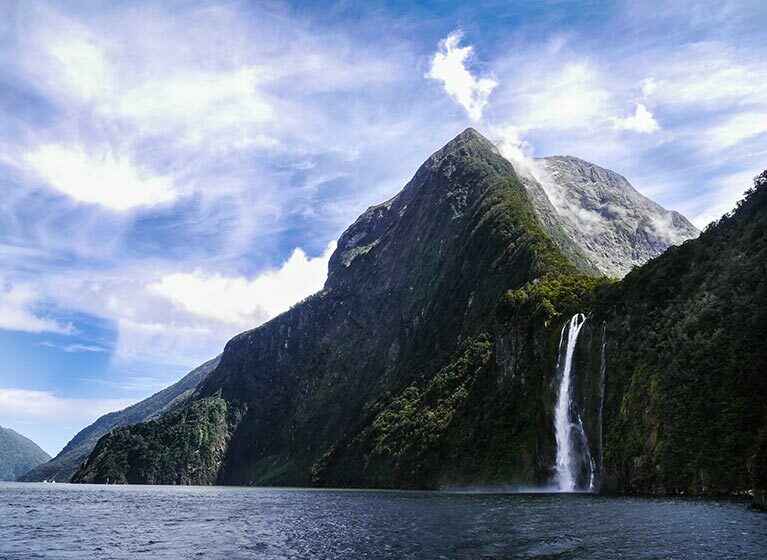 Experience a daylight cruise on Milford Sound for amazing views of the fiord and its wildlife. Day cruises can easily be incorporated into your travel plans and are included in most Milford Sound day tours. 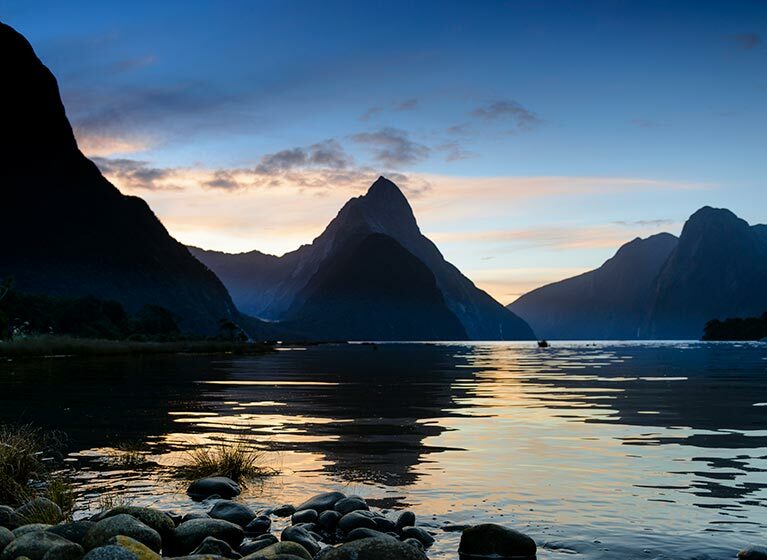 Selected tour companies offer overnight cruises in Milford Sound. This can be a great way to experience the fiord at its most peaceful – in the evening and first thing in the morning, before the day trippers arrive. Milford Sound overnight cruises can include dinner and breakfast as well as transport to and from Milford Sound. If you have limited time to view Milford Sound you may wish to choose a day tour instead.